Hold My Order, Terrible Dresser: "Continuity is so important." 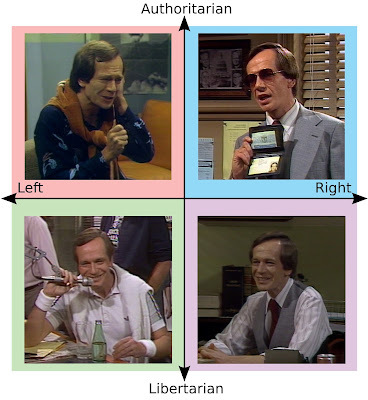 So in our season premiere podcast episode, Rob and I discussed the fact that Season 4 of WKRP in Cincinnati has quite a bit of continuity and even an overall plot arc! In this week's podcast, we go a little deeper into that topic, with a look at the third and fourth episodes of Season 4, "The Union" and "Rumors." In "The Union" we get a look at what WKRP's success has meant for its employees. Non-management are all asked to weigh in on joining a labor union and their responses to the proposal (as well as the Big Guy's and Andy's as management) provide a glimpse at what the station's new success means to the characters. And in "Rumors," we get a final chapter to the ongoing "will they/won't they" saga of Johnny and Bailey. In last Friday's Show Notes, we linked to friend of the podcast Tommy Krasker's incisive essay on what makes Season 4 of WKRP so special (please note: lots of spoilers for future Season 4 episodes if you've never watched the show before). Tommy talks about the maturity of the writing, the deepening of the characters' personalities, and a little bit about this de facto story arc. He also discusses the trend in Season 3 that we identified where the plotlines often are, well, a real bummer. Season-long and even series-long story arcs are de rigueur in the New Golden Age of Television. For many series, this kind of continuity is now their bread and butter. But back in 1978-1982, this wasn't nearly as common, especially on sitcoms. 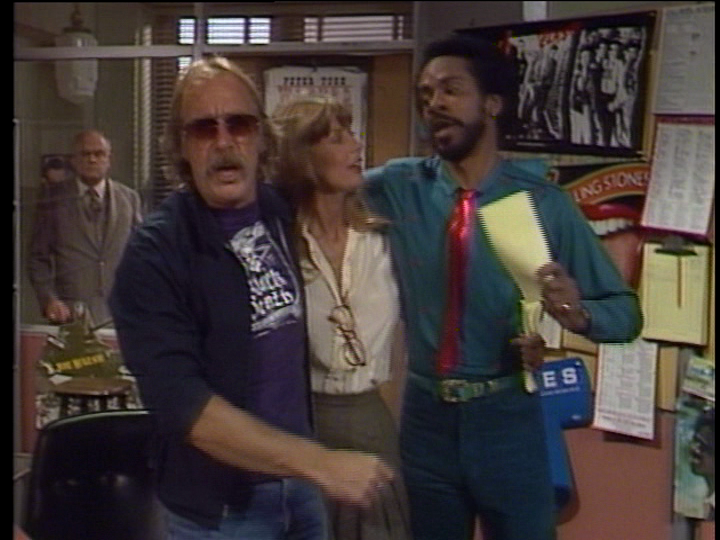 It is a little strange to realize that maybe one of the reasons why WKRP has stuck with Rob and me over all these decades is because the show was often working in an idiom (the weekly sitcom) that seemed to strain at the expansiveness of the creators' and actors' ambitions. We've talked about it before in terms of the worldbuilding and background that Wilson et al. spent so much time constructing. It's doubly strange to think that this unwavering dedication to character and immersion is a meta-reflection of the overall plot arc of Season 4: that all of a sudden, WKRP the station is running like a finely-tuned machine, despite the incompetence and various zany schemes of both staff and management. And of course all of this is made all the more sad by the fact that WKRP the show was canceled right as it was hitting this confident stride. Our old friend Michael Kassel in his America's Favorite Radio Station gets his chapter title about the fourth season from a Hugh Wilson quote: "I'm exhausted," as Wilson discusses CBS's continuous scuttling of WKRP's attempt to find a regular home, a dedicated audience, and most importantly, ratings. Again embracing the meta- that we've embraced all throughout the podcast, it's a bummer that we'll also be ending our podcast just as we feel like we're hitting a stride and becoming a hit. All of you who asked us, "Is the podcast really going to end?" on Facebook in the past few weeks, well, the answer is yes. We will be ending the podcast with HMOTD 052 in December. But like WKRP, we're going to try our best to go out on a high note. Oh, one more thing: in honor of our Season 1 Law vs. Chaos/Dungaree vs. Suit alignment chart, a new alignment chart that's more in keeping with what the kids today are into. More when the new episode drops Wednesday!